Let's look into the usage of Azure Policy to help organizations comply and manage policy and procedures to meet regulatory requirements. Every organization has a set of regulations and compliances that it must comply with. Some of these are regulatory and are imposed by external organizations; for example, GDPR legislation, while others may vary from sector to sector. The regulations imposed on financial organizations will be different from those imposed on manufacturers and if an organization wants to achieve certification; for example, ISO certification, then there’s a set of regulations that need to be complied with. Apart from external regulations and compliances, organizations will also have their own policies to comply with. "Azure Policy" is a service that helps organizations comply and manage policy and procedures to meet regulatory requirements. Azure Policy makes it easier for companies to comply with policies and regulations, whether they’re externally imposed or generated internally. 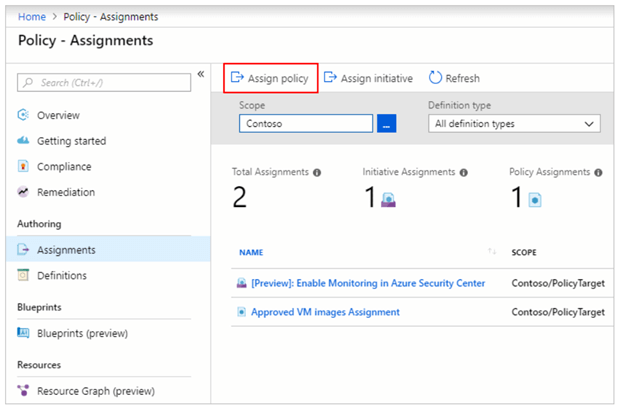 Azure Policy can help you to design, create, assign and manage policies. Also, it runs evaluations of your resources and scans for breaches of your policies. Not allowed resource type – With this policy, you can specify what types of resources your organisation is not allowed to deploy. Any of these policies can be implemented using PowerShell, Azure CLI or Azure portal. Once a policy is defined, it needs to be assigned to take place within a specific scope before it can be implemented. A scope is all the subscriptions, management groups or resource groups that a policy definition is assigned to. Also, policy assignments are inherited by all child resources; for example, if a policy is assigned to a resource group, then it is applied to all the resources in the resource group. Parameters can be defined when creating a policy definition in order to make the definition more generic. A relatively generic definition can be used in a number of different scenarios, by passing in different values when assigning the policy definition. Each time a parameter is defined, it’s given a name and a value. The value can then be changed when the policy is assigned to a different area. A collection of policy definitions that are working towards one overall goal is known as an initiative definition. Managing and assigning policy definitions is simplified by grouping a set of policies together in an initiative definition. Like a policy definition, an initiative definition is assigned to a specific scope and it also has parameters which can be defined. When you start creating policy definitions, it’s better to start with an audit effect instead of a deny effect. This will allow you to keep track of the impact of your policy definitions on your environment. Using a deny effect may have a negative impact on any automated tasks that you already have in place. Try to remember to create definitions at higher levels; for example, at the management group of subscription level. Then, the assignment can be carried out at the child level. 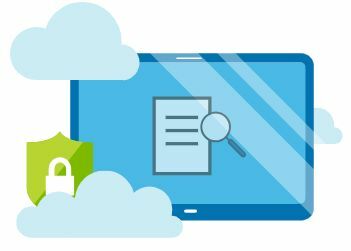 Policy and procedure management is becoming very important due to an increasing focus on data privacy and Azure policy makes it easy to implement - it's worth checking out.